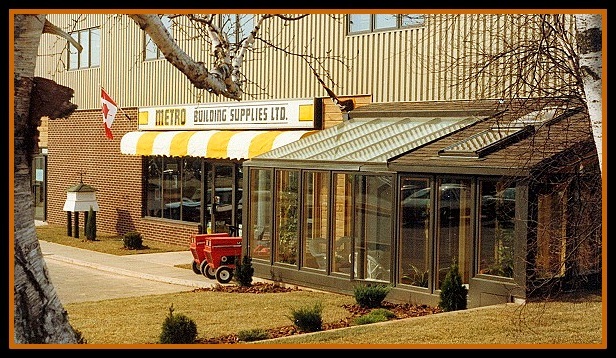 Don Smith started Metro Building Supplies in 1969. 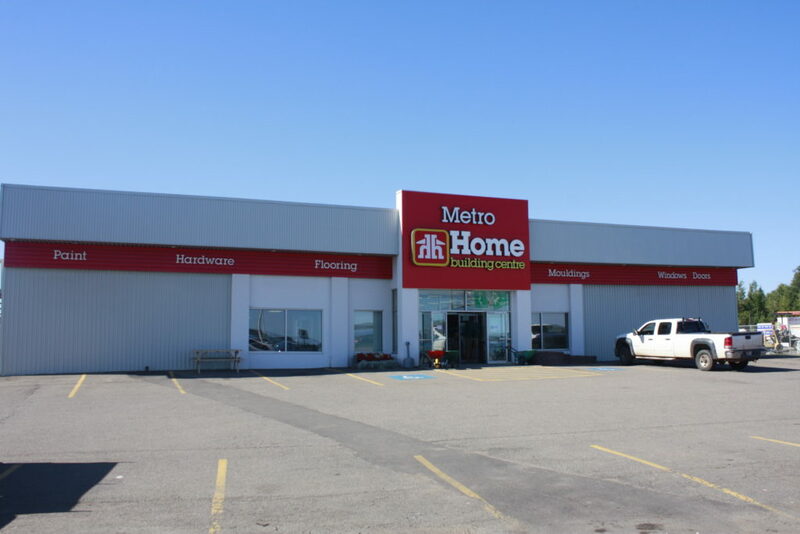 Our store was located at 163 St. Peters Road in part of the old Ellis Brothers Shopping Centre in the general area of what is now Razzy’s Roadhouse. 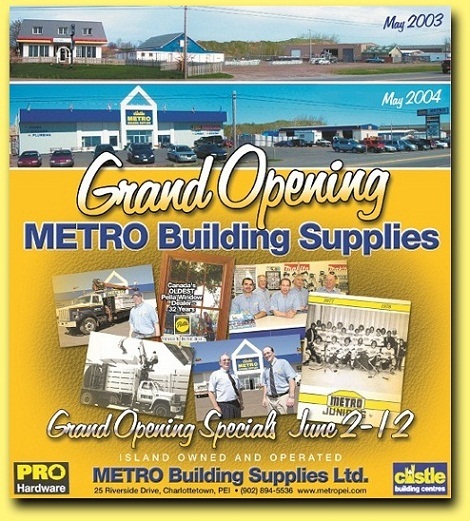 Hear is one of our first Guardian ads dating back about forty years ago. 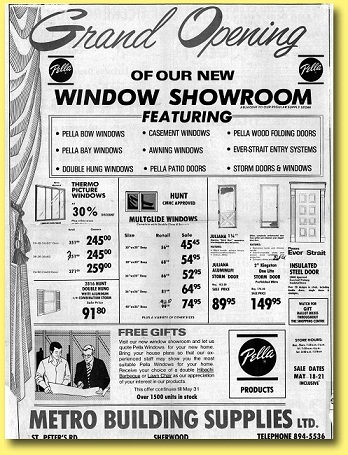 As you can see from the ad, we were carrying Pella windows back then and today we are Canada’s oldest Pella window dealer. Top right: .?. Crawford, Jim King, Wilfred Nicholson. 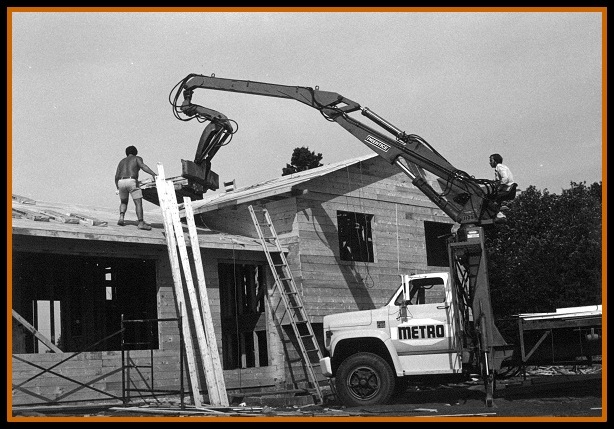 In 1974 we purchased a new GMC boom truck, one of the first to serve Island customers. 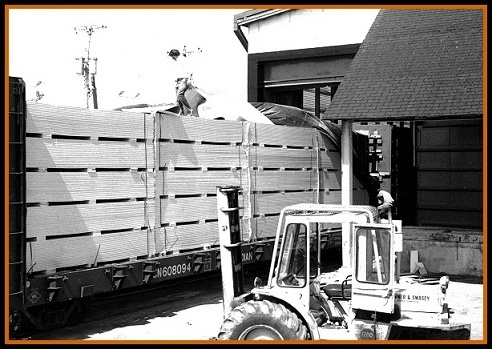 Here Bruce MacLeod unloads Gyproc from a rail car. 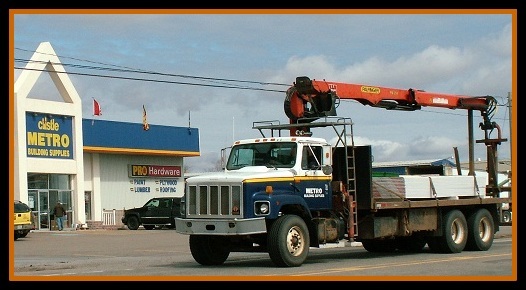 Here we are again off loading gyproc from a rail car in Charlottetown with one of our fork lifts. 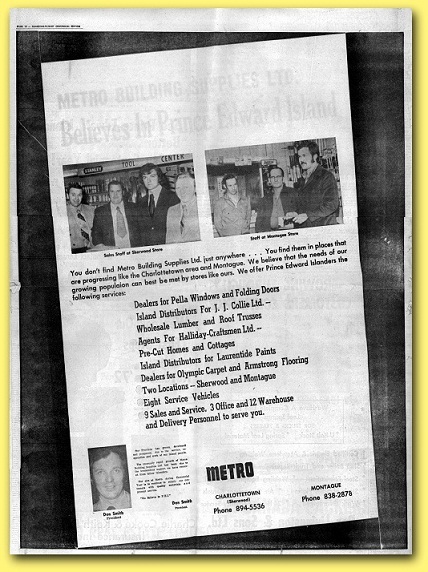 And Yes, there were trains on PEI then! 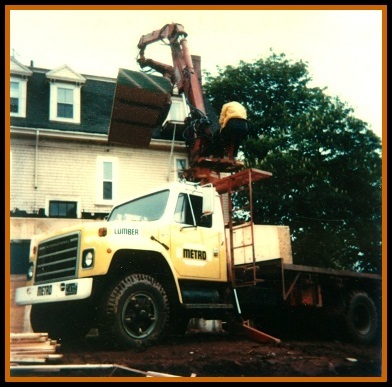 Our boom truck delivers shingles in Keppoch in the Summer of 1977. 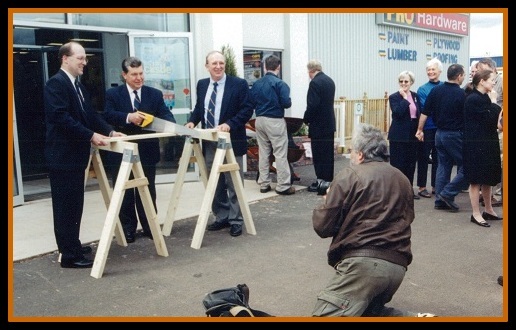 Gordon Griffin on the roof and Bruce MacLeod on the boom. 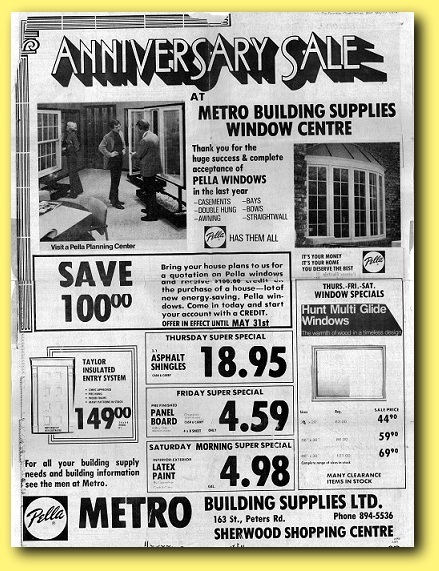 Here is another newspaper ad from 1978 advertising our first major expansion. 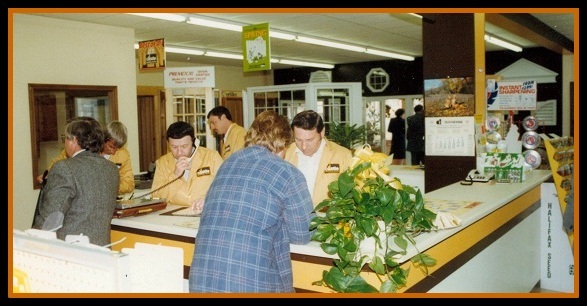 We doubled our showroom space with the addition of a new window and door showroom. 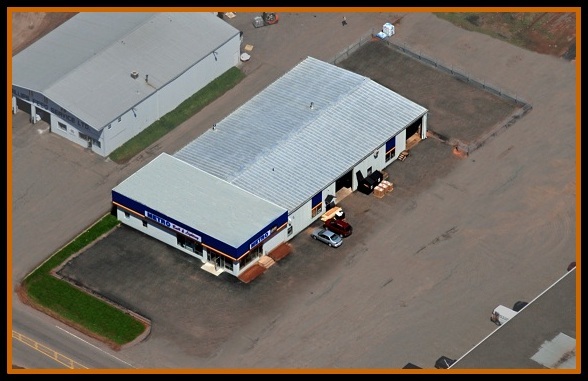 Our new window showroom on the left of the building. 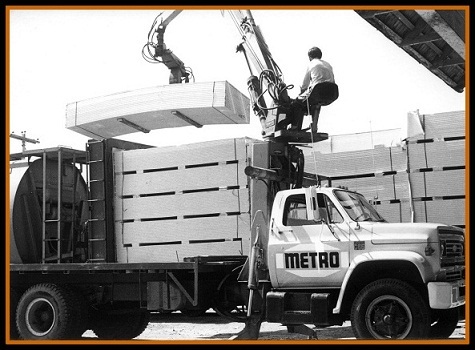 In 1979 we purchased another new boom truck that is seen here making a delivery. 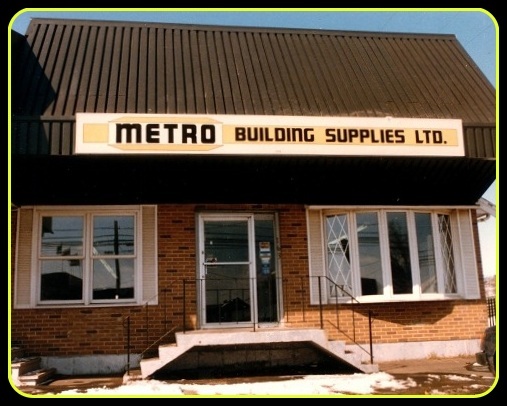 By 1986 we outgrew our St. Peter’s road location and moved across the street to a new, custom built facility at 27 Brackley Point Road. 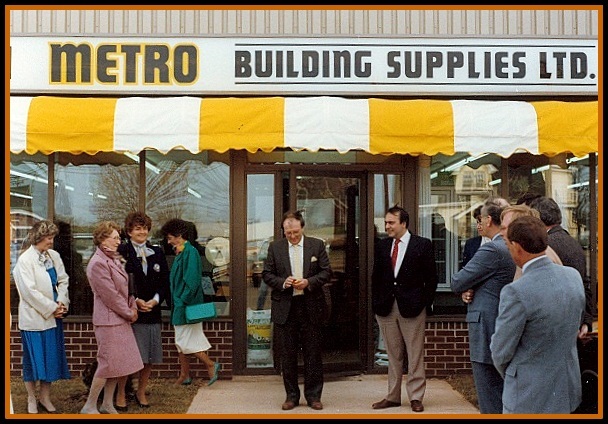 Pictured here is Don Smith and Premier Joe Ghiz at our official opening on April 28th, 1987. 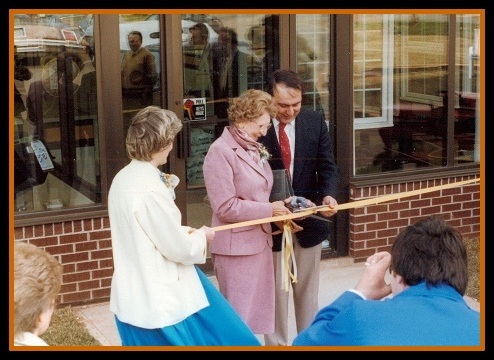 Don’s mother cuts the ribbon with Premier Ghiz looking on. 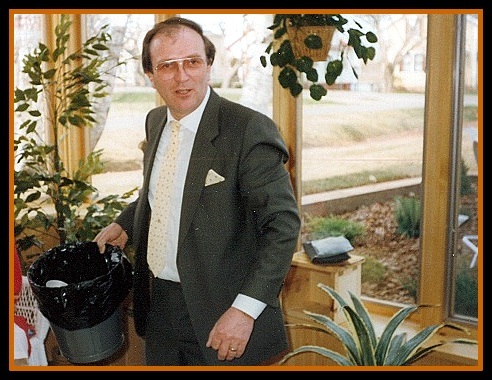 Don cleaning up after the opening. 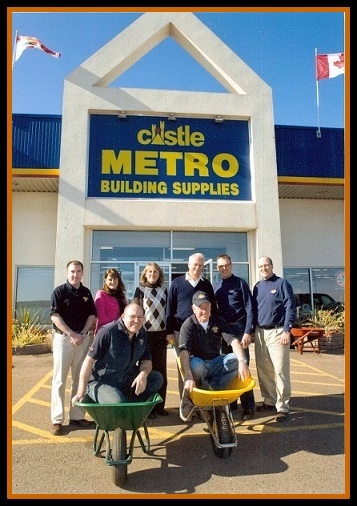 Who says it’s hard to get good help? 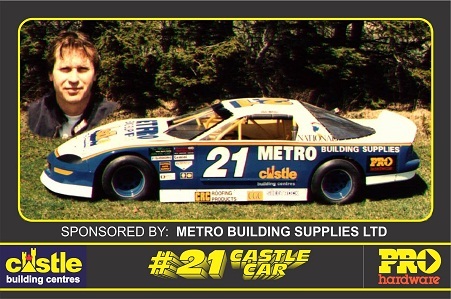 For many years we sponsored Dale Holmes and his very successful “Castle Car” on the Pro Stock Tour. 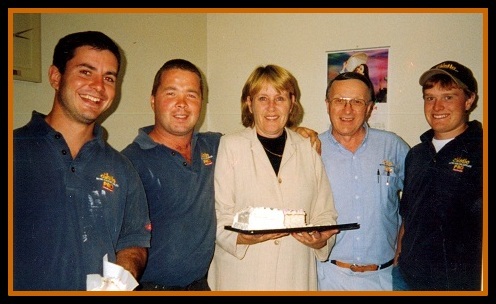 Staff retirement party at the Delta for Gordon Coles and Keir Jones. 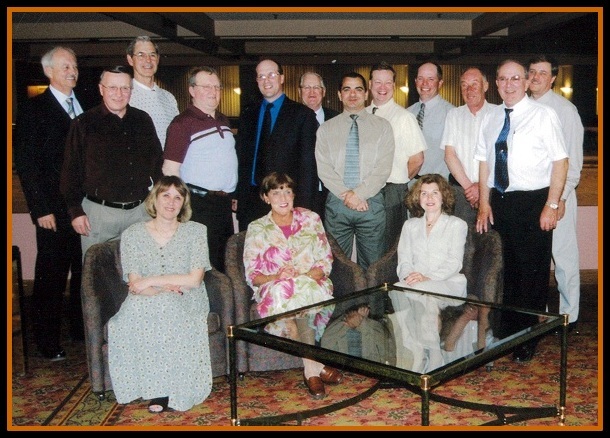 Eric Bentley, Keir Jones, lauchie Machon, Frank MacDonald, Peter Smith, Gordon Coles, Jim Williams, Wayne Connell, Bruce Macleod, Don Smith, Brian MacKinnon. Heather Voutour, Marge Smith, Sharon Kelly. 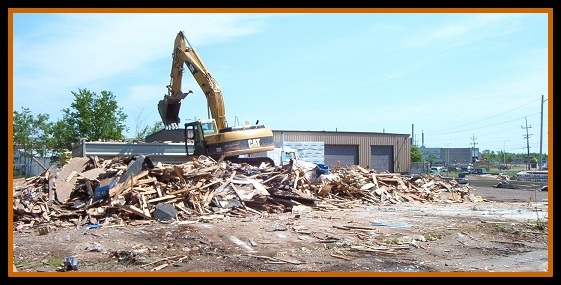 TIME TO MOVE – AGAIN! 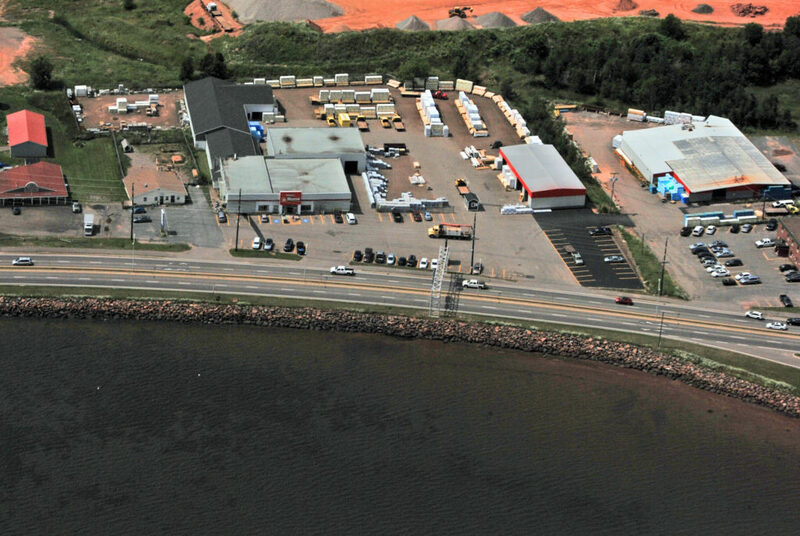 We purchased land at our present location at 25 Riverside Drive on the Charlottetown Bypass. 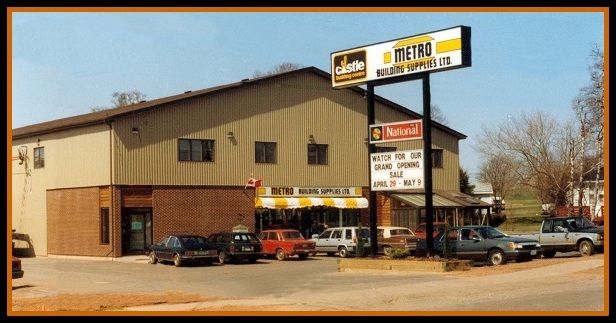 The existing buildings before demolition and renovations. 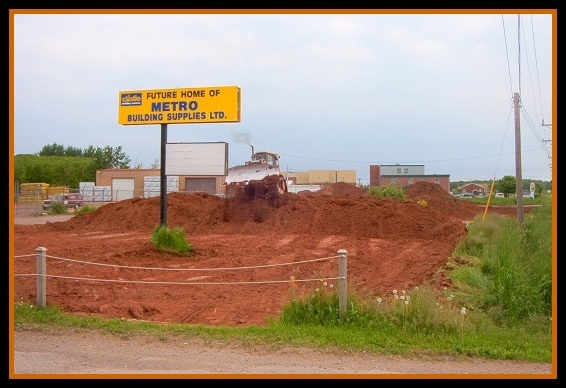 Our new building starts to appear. 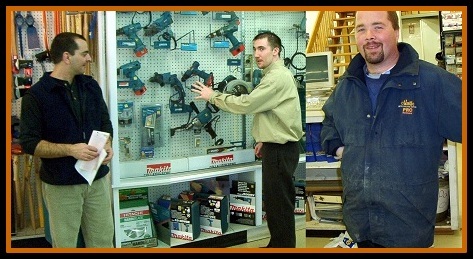 It was a big job getting everything in place for a Spring 2004 opening. 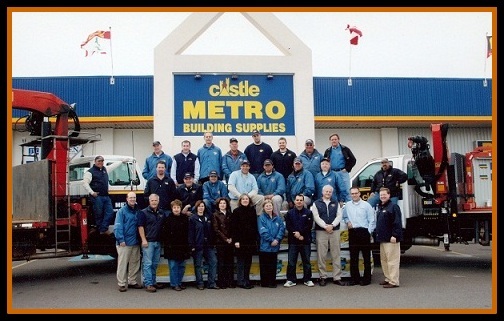 Official opening, June 2004 with the President of Castle presiding. 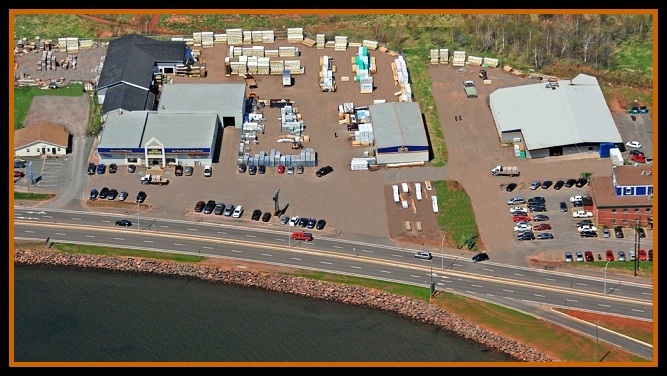 One of our new warehouses. We didn’t know how we would ever fill all the space we had. 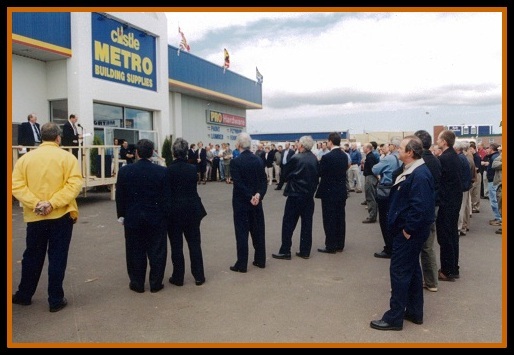 But within five years we needed more space and purchased a 14,000 sq ft warehouse on the adjoining property. 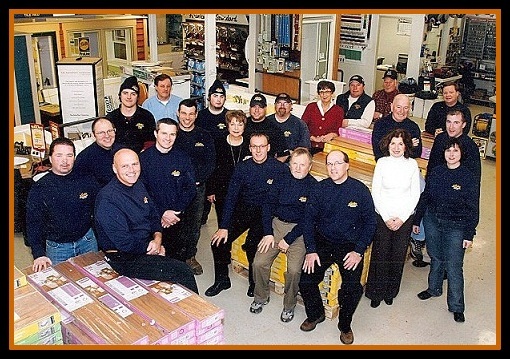 By 2011 we were again short of space and spun off our kitchen and bath departments and also expanded into lighting. 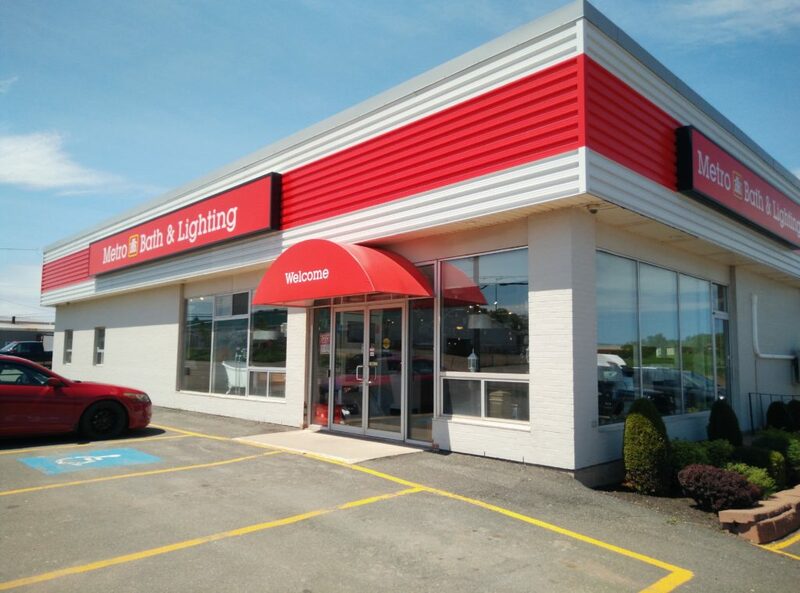 The new Metro Bath & Lighting store opened in the Spring of 2011 and is located just around the corner from our main store at 16 Exhibition Drive. 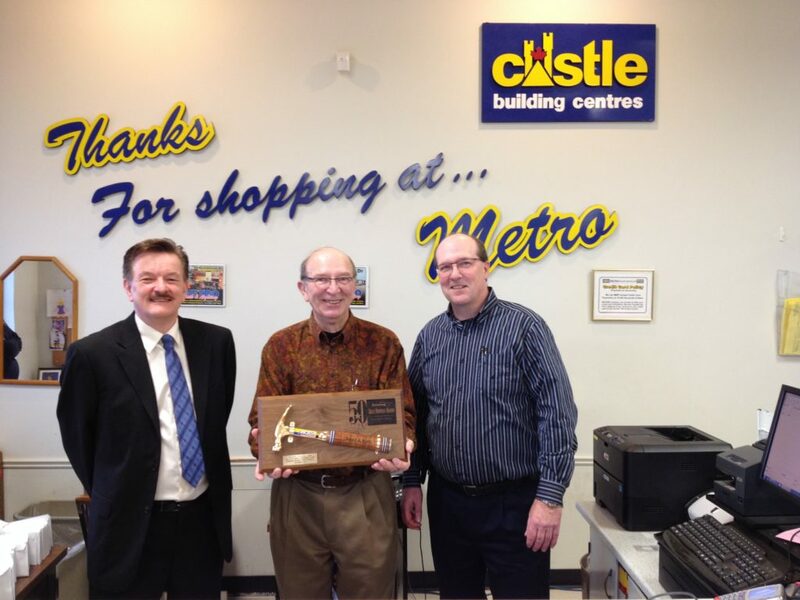 December ‎22, ‎2014 Donald A. Smith was presented with the 50 Year Estwing Gold Hammer Award.